The hosts of She Resonates invite sound artist Cecilia López to join us for an in-studio performance 5-6PM this Sunday, April 9th in conjunction with Pioneer Works' Second Sundays programming. Staged as an installation and performed live, each iteration of Red is unique. Using wire nets to map out the architecture of Clocktower's 3rd floor office, López is to compose a piece from the acoustic feedback transmitted through the installation itself. 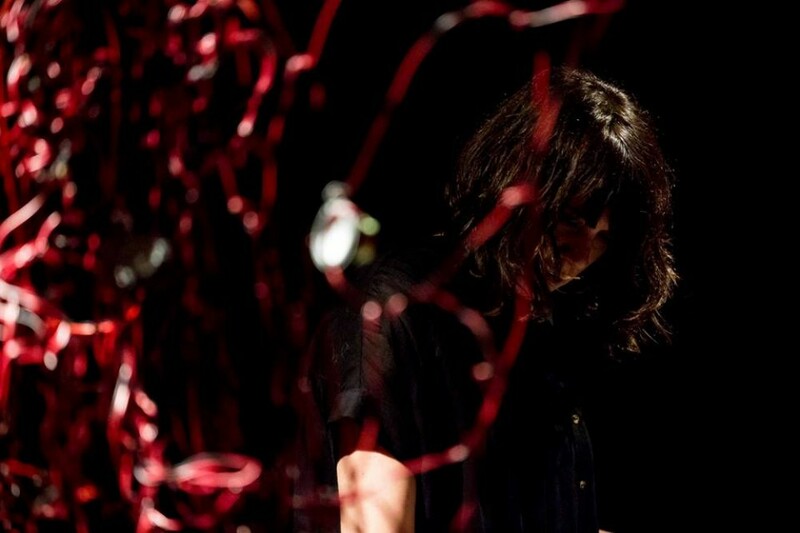 Cecilia López is a composer, musician and installation artist from Buenos Aires, Argentina. Her work explores the boundaries between composition and improvisation, as well as the resonance properties of diverse materials through the creation of non-conventional sound devices and systems. She holds and M.F.A from Bard College and an M.A. in composition from Wesleyan University and has collaborated with artists Carmen Baliero, Carrie Schneider, and Lars Laumann, among others. Experimental Intermedia (New York), Kunstnernes Hus (Oslo) and Contemporary Art Center (Vilnius).